Words No Bars Can Hold - Description | W. W. Norton & Company Ltd. 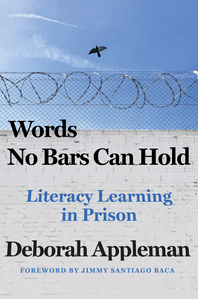 Words No Bars Can Hold provides a rare glimpse into literacy learning under the most dehumanising conditions. 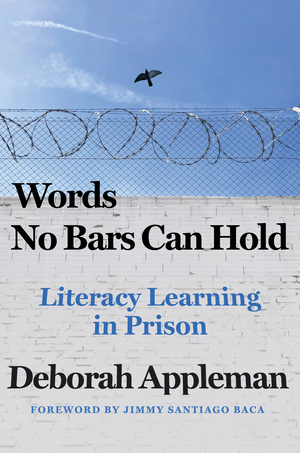 Deborah Appleman chronicles her work teaching college-level classes at a high-security prison for men, most of whom are serving life sentences. Through narrative, poetry, memoir and fiction, the students in Appleman’s classes attempt to write themselves back into a society that has erased their lived histories. The students’ work, through which they probe and develop their identities as readers and writers, illuminates the transformative power of literacy. Appleman argues for the importance of educating the incarcerated and explores ways to interrupt the increasingly common journey from urban schools to our nation’s prisons. From the sobering endpoint of what scholars have called the “school to prison pipeline”, she draws insight from the narratives and experiences of those who have travelled it.